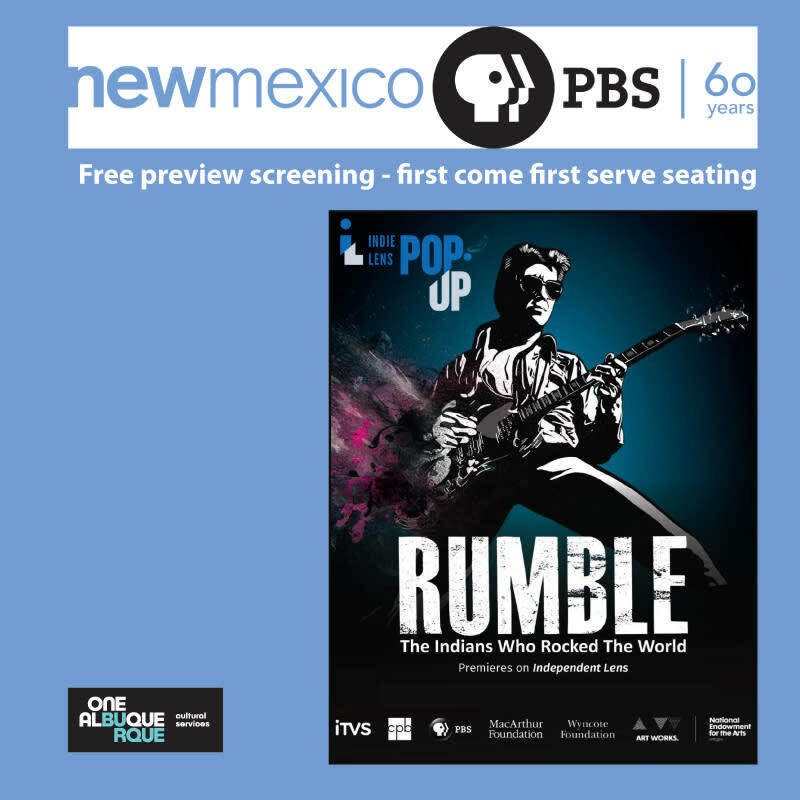 RUMBLE: THE INDIANS WHO ROCKED THE WORLD is a feature documentary about the role of Native Americans in popular music history. Awarded the World Cinema Documentary Special Jury Award for Masterful Storytelling at Sundance Film Festival 2017, RUMBLE is one of the most exciting and talked about documentaries of 2017. The doc tells the story of a profound, essential, and, until now, missing chapter in the history of American music: the Indigenous influence. 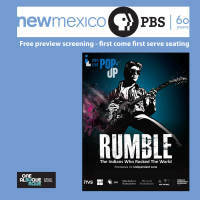 Featuring music icons Charley Patton, Mildred Bailey, Link Wray, Jimi Hendrix, Jesse Ed Davis, Buffy Sainte-Marie, Robbie Robertson, Randy Castillo, and others, RUMBLE shows how these talented Native musicians helped shape the soundtracks of our lives. RUMBLE is inspired by the Smithsonian Institution exhibit “Up Where We Belong: Native Musicians In Popular Culture,” created by Tim Johnson and Stevie Salas for the National Museum of the American Indian.